As bloggers, we’re inspired to write based on our personal motivations or our business needs. The problem is that your blogging goals aren’t those of your target readers. This holds true whether you’re a B2C company, B2B firm, not-for-profit (NFP), small business, solopreneur or individual. 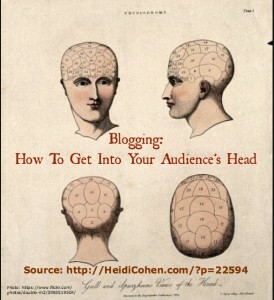 You need to get into your blog audience’s head. So how do you attract your target readers to your blog and keep them returning for more information? Here are 5 tips to help you understand your blog audience mindset. Take the time to appreciate your readers and why they seek your information. Consider whom you’re aiming to reach with your blog content. Remember – your blog audience may differ from your customer base. Create a marketing persona for your readers. What are their needs and painpoints? What type of information do they seek and why? Think about how they view you. Take the time to look at your competitors to see what resonates with their readers. Look for ways to set your blog apart so you don’t create a me-too entity. Assess the top blogs and media sites in your niche. Analyze their blog posts for the last month to determine what readers want. Ascertain their regular columns, topics and writers. What type of features do they have? Assess their information presentation. Are the articles short or long? Sign up for their emailings to see how they distribute their content. Check their headlines. Do they use a consistent format? For example, 12Most has the same beginning for every article. Do they use titles just to lure readers in? Look at their Top Articles. Most blogs highlight popular posts. Read every one of these pieces for insights. They can spotlight what gets read, shared and commented on. Determine their publishing frequency and timing. Consider these factors relative to your category and resources. 3. Ask your readers for their input. Don’t try to guess (or worse: assume) what they want in terms of content. Be straightforward and request their feedback. This can take a variety of formats. Use your email registration responder. After people have subscribed to your email newsletter, ask them to tell you what they’re looking for from your blog. While many subscribers don’t write, those that do provide helpful information about the challenges that they face. Post an email inbox on your blog to solicit reader opinions. This can be useful way to find out what your readers are seeking on your blog. Take a survey. Send out an online survey to get information from your readers. In addition to using your email list, you can also use a pop up or ad on your blog to get input. Examine your on-site search. If you have a search box, check what terms your readers and visitors are seeking on your blog. This has the added benefit of providing insights into the keyword phrases they’re using. Ask readers in real life. 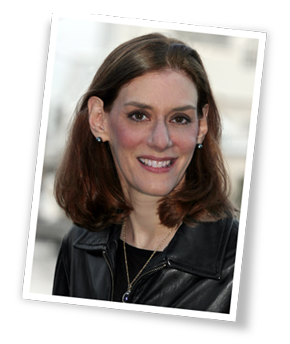 Take advantage of live events to talk to prospective readers and get their feedback. 4. Check your blog metrics. Blog analytics can be your friend when trying to discern information about your readers. Regardless of what you think about your readers or what they say they like, your blog metrics provide the facts. Research the terms that attract readers. What are the keywords your visitors are using? 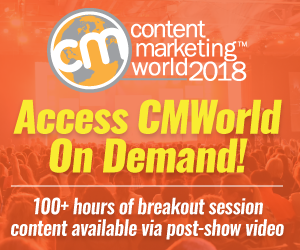 What related content can you provide? How are these articles formatted? Determine what topics and formats resonate best with your readers. You can compose a great post but it can fail due to a poor title, poor timing or other factors. Most blog traffic falls off during the weekends. 5. Gather insights from your comment section. For many bloggers, it takes time to attract readers who consistently comment. (Here are 3 tips to help you generate massive comments.) As a result, this can be less effective than other ways of getting input. Ask a question or two at the end of your blog posts. This can help get readers to engage on topics related to your articles. Examine which topics drive reader feedback. Are there specific topics or types of columns that ignite reader engagement? Check reader engagement on social media platforms. Don’t limit your insights to your blog alone. Some readers may prefer to engage on social media platforms. What gets reader interaction? To blog and compose our thoughts into posts, we spend a lot of time in our heads as writers. But to succeed as a blogger we need to create content that meets our target readers’ needs. Therefore you have to determine your blog audience’s mindset, by direct and indirect methods, to create content that resonates with them. While we bloggers like to believe that we’re blogging for ourselves, the reality is that we’re writing for our readers regardless of what inspired us. How have you learned about your blog audience mindset? Tags Blog Audience Mindset, Blog metrics, marketing persona. Bookmark the permalink. Great info Heidi. Especially the trick to ask your audience. I’ve done that on occasion and have come back with a wealth of information. It’s a trick that works!